Hygge has become increasingly more popular over the past year in the UK - I see books everywhere and have read a few on it myself. For those of you that haven't yet heard the term 'hygge', it can mean different things to different people. Hygge is for everyone and anyone can experience it no matter who you are or where you are in the world. I recently visited Copenhagen in search of some serious hygge, as it is a term that is used by the Dane's; I was not disappointed. Visiting Copenhagen and seeing the Danish way of life up close and personal has inspired me to get in touch with my inner creativity once more and to ensure I incorporate more hyygelig things in my life. Walking through the countryside on a sunny Autumnal day with the leaves crunching beneath my boots, having a thick, chunky scarf wrapped around me and a knitted bobble hat keeping my ears warm. Listening to the rain in bed at night with my boyfriend wrapping his arms around me. Sitting beside a wood burning fire with a big cup of hot chocolate and squirty cream and mini marshmallows. Enjoying a hearty meal with loved ones, chatting and drinking the night away. Autumn is known as a very hyggelig month because it is a month of cosy blankets, romantic candle light and comforting indoor activities. 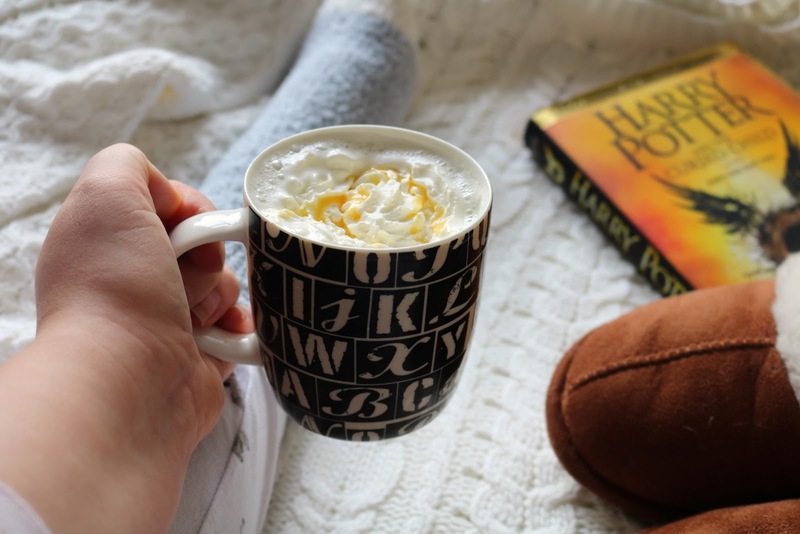 I have put together a bit of a Hygge Essentials guide for those of you that aren't too sure where to start and would like to enjoy the warm, fuzzy feeling too. A cozy throw - Be it knitted, quilted or crocheted, whatever takes your fancy and fills you with comfort. Surround yourself in your throw on a rainy autumnal day and enjoy your peaceful moment. Comfy Socks/Slippers - There is nothing worse than cold feet when you're trying to get cosy. Treat yourself to some new cosy socks or slippers. I just bought 2 new pairs from Sainsburys for £5.00 if you're struggling to find any. A Great Mug - Everyone has a favourite mug so buy yourself some fresh coffee or some decadent hot chocolate. Make some time for yourself to sit back and enjoy the warming sensation of the hot drink. Comfy Clothes - My go to hygge outfit is usually my pajamas when I'm at home, however, day-to-day I like to wear an oversized knitted jumper, paired with leggings and boots with a thick knitted scarf and a woolly hat - perfection. A Good Book - Tuck yourself away in your little reading nook and enjoy reading your book whilst the weather outside is cold and dismal. This will make you feel ultimate hygge feels. Snacks - Since visiting Copenhagen I have been re-creating Grod which is porridge with granola, nuts and fresh seasonal berries sprinkled on the top and a dollop of honey. It's not only great for breakfast but it's also a filling meal for lunch too and is perfect for warming up in the autumn/winter. Do you have any Hygge essentials that you like to live by? I would love to know in the comments below or by reaching me on any of my social media platforms.